Mozilla Messaging just announced that the Thunderbird 3.0 beta 1 is now available for download! 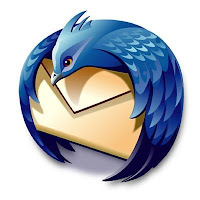 For more details about Thunderbird and this release, check out the Mozilla Messaging website. Editor’s note: Mozilla released Firefox 3.1 beta 1 on Monday, December 8, 2008 at 2:39 pm PT. Check out the Mozilla Developer News announcement reposted below for more details. Please note: Firefox 3.1 Beta 2 is a public preview release intended for developer testing and community feedback. It includes many new features as well as improvements to performance, web compatibility, and speed. We recommend that you read the release notes and known issues before installing this beta. Firefox 3.1 Beta 2 is now available for download. 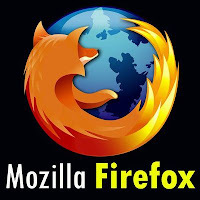 This milestone is focused on testing the core functionality provided by many new features and changes to the platform scheduled for Firefox 3.1. Ongoing planning for Firefox 3.1 can be followed at the Firefox 3.1 Planning Center, as well as in mozilla.dev.planning and on irc.mozilla.org in #shiretoko. * This beta is now available in 54 languages - get your local version and let us know if it looks right. * A new Private Browsing Mode that allows you to browse without Firefox storing any traces of where you’ve been - perfect for online holiday shopping! Testers can download Firefox 3.1 Beta 2 builds for Windows, Mac OS X, and Linux in 54 different languages. Developers should also read the Firefox 3.1 for Developers article on the Mozilla Developer Center.